Joseph Shabalala’s strong, dusky vocals have led this phenomenal a cappella troupe for over three decades. The group went global after Paul Simon featured them on Graceland, and with No Boundaries, they further imprint South African melodies on a Western template. Joined by the English Chamber Orchestra, Mozart and Bach serve as a foundation for the singers: the gorgeous “Homeless” (co-written by Simon) makes sparse use of violins, while the epic “Awu Wemadoda”—a metaphorical hunt as spiritual search—sees the musicians run counterpart to the interwoven groove. 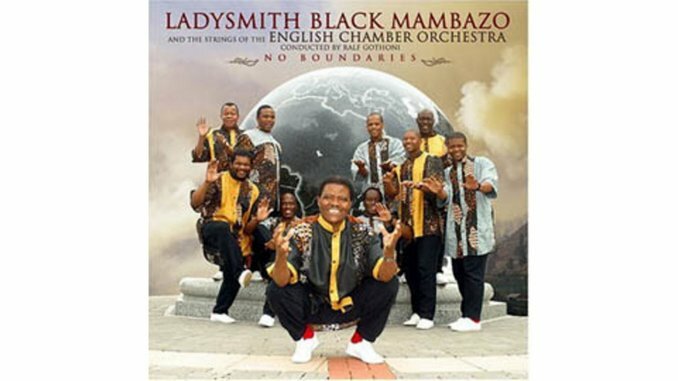 The record stays on a linear course for 47 minutes; fortunately, the legacy of Mambazo carries it brilliantly.